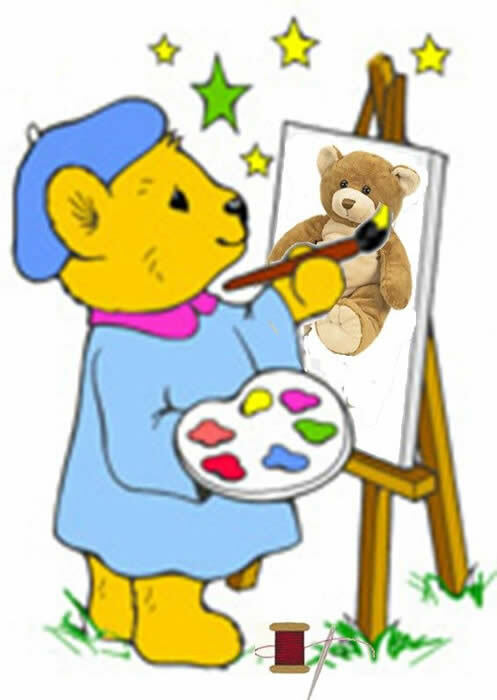 We began sponsoring online show in September 2013 and we continue to launch The Bright Star Teddy Bear Artists Shows Online throughout the year . . .
Who can sell in Bright Star's Online Teddy Bear Shows? be a Professional Artists-Member of Bears&Buds, the original Online Teddy Bear Magazine. through a jury process with references, sales records, web presentation, will be invited to participate. Bright Star Promotions is an Incorporated business in the State of Kentucky (USA) since October 1981. We know Bright Star Show artists and Bears&Buds Artist-Members and are already familiar with their work. We feel by this association, we will be assured that the artistry and craftsmanship (of the bears shown online) will be of high quality and the bears will be shipped within 2 to 3 days after the completed online sale. By doing so, we will protect our Corporation's image, integrity while growing our worldwide presence. . Applications will be held and 5-6 weeks before the show we will send acceptance letters, at that time your email confirmation letters will be processed in the order they are received. We have 60-75 applications for 48 spaces in each show. No show fees will be charged until you are accepted and confirm you'll participate in the show. To build a good customer base, we laid a good foundation to launch our online shows from Bright-Star-Bear Treasures, where we sold bears from collections and built a hugs mailing list. Why are online shows becoming popular? Marketing and sales have changed over the past several years and people are confident to buy online. Artists are finding the high cost of traveling often prohibits them from attend a regular teddy bear show. Collectors used to travel 100 miles or more to visit the exhibiting artist and now gasoline prices have soared, adding more reluctancy to travel. Our online show will attract worldwide collectors. Bright Star Promotions will continue to sponsor Tampa's live show in (look) and encourage you to participate too. Person to person shows are a wonderful way to introduce your bears and to gain new collectors. Competition with other online shows? Bright Star Teddy Bear Shows Online will not knowingly be scheduled to compete with any online shows. We work together with our show schedules. Our Online Show Success We are very happy to announce that our online shows have been successful with sales being 55% to 69% of the inventory SOLD. Bright Star Promotions, Inc. has been connecting the artists and collectors, in face-to-face teddy bear shows, for over 39 years and has built a loyal following. Bright Star has a reputation for quality, integrity, and trustworthiness, along with good, sound company ethics. Copyrighted © February 2014 - 2019 by Bright Star Promotions, Inc.